View of a switchboard and generating sets at the Aspinwall Pumping Station. 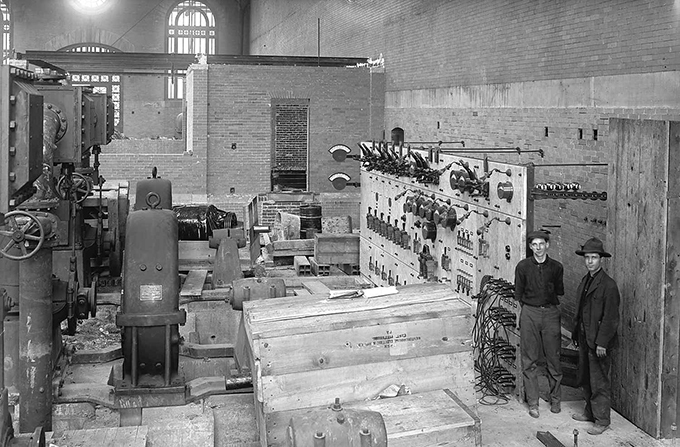 Aspinwall (Pa.); Pumping stations--Employees--Pennsylvania--Pittsburgh. ; Pumping stations--Pennsylvania--Pittsburgh. ; Interior architecture--Pennsylvania--Pittsburgh.